No one will enter the National Assembly to hold Volen Siderov, and will be sent a summons. This explained to BNT Deputy Attorney General Borislav Sarafov. "I think he overstates its importance comparing with Nikola Petkov" said Sarafovo. It pointed out that the prosecution had considered extremely systematic, orderly and lawful in this case and responded to public expectations. 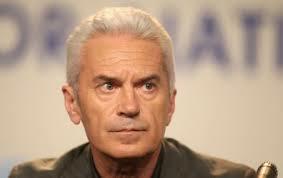 He recalled that this is the third request the immunity of Siderov, each time it has been associated with hooliganism. "It shows that he is very arrogant behavior and a complete lack of regard to the rights of other citizens. That is why the chief prosecutor assess and submit the request for his detention," explained Sarafovo. Meanwhile today pending parliament create a special commission to overthrow the parliamentary immunity of Volen Siderov and his deputy Dessislav Donahue. It will be the second application of Tsatsarov - for the excesses of ATAKA in front of shop near National Academy. According to the parliamentary rules, if within 14 days of receipt of the request of the Prosecutor, which first request expired on October 27, MP does not voluntarily give up his defense should rule the National Assembly. Parliamentary practice in such cases is to create dedicated committees of inquiry that after studying the request of the Prosecutor General to propose to the parliament or to download parliamentary immunity.